Enjoy an assortment of our chocolate chip and chocolate dipped Spritz butter cookies, made from scratch when you place your order. Handcrafted from my Irish grandmother's recipe, these cookies are sure to melt in your mouth. 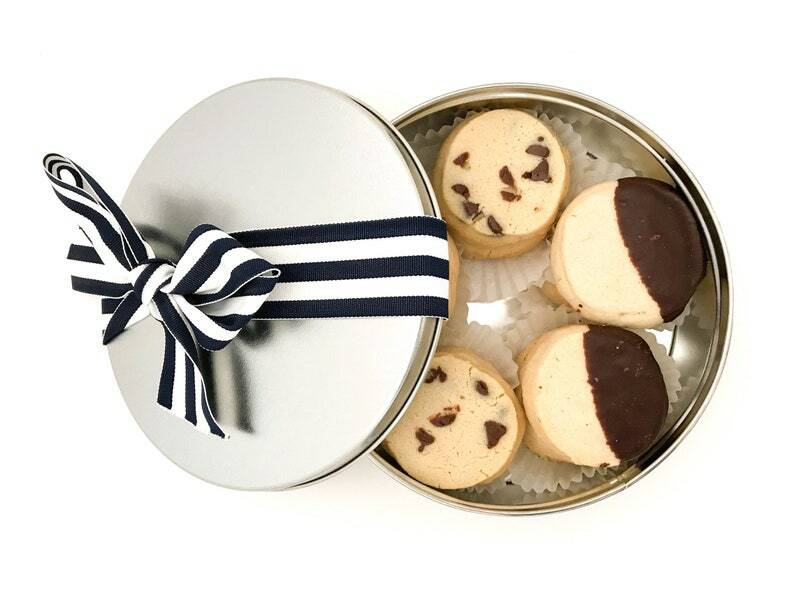 Each cookie is hand-dipped in a generous layer of semisweet chocolate or filled with chocolate chips. We use only the finest ingredients and make all our products by hand in small batches.